Despite the talk of spring on the horizon, it’s still feeling very much like winter here in New York. And while many DIYers are planning spring and summer projects – myself included! 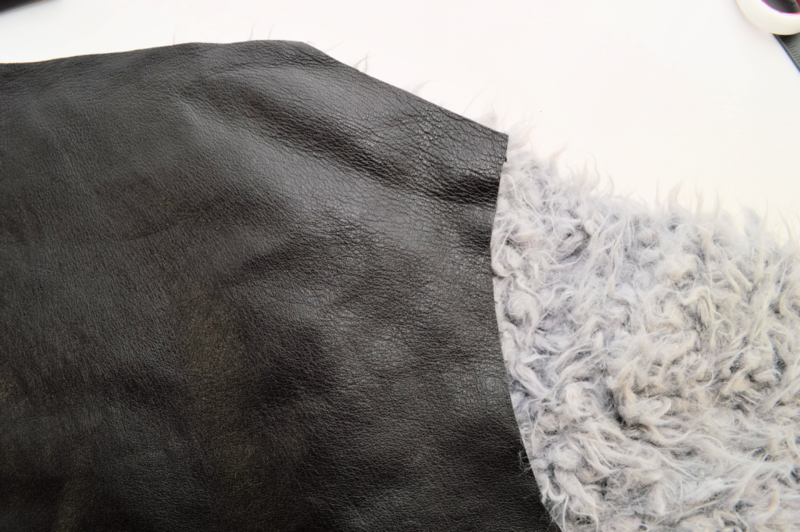 – I decided there’s still room for a faux fur jacket DIY. I mean, there’s always room for one…especially when it involves badass leather details and studs. 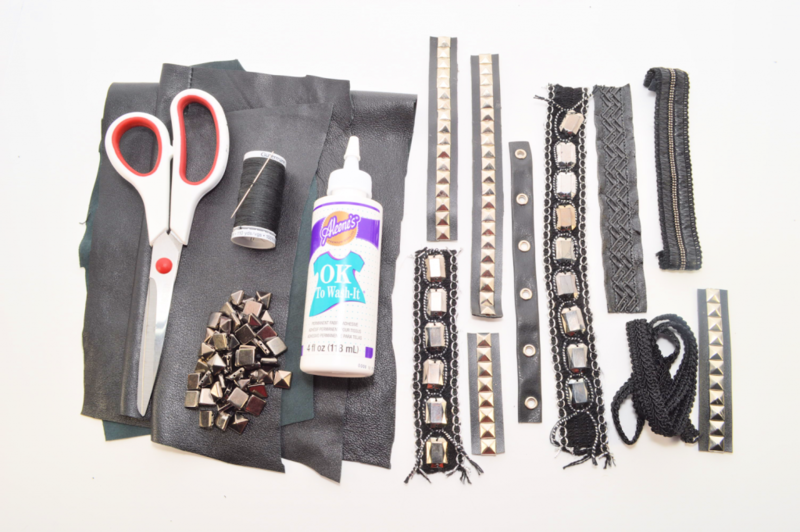 The four key materials that I used were fabric scissors, faux leather (from a pair of thrifted pants that I took apart), fabric glue, and embellished trims. Lots and lots of embellished trims. I actually used all leftovers from past projects – proof that it pays off to hang onto the remnants! My lack of super long trimmings actually inspired the shape and design of this project. Love it when it works out that way. There are flat pyramid studs in this photo, but I didn’t end up using them given the design I came up with (feel free to incorporate them, though). 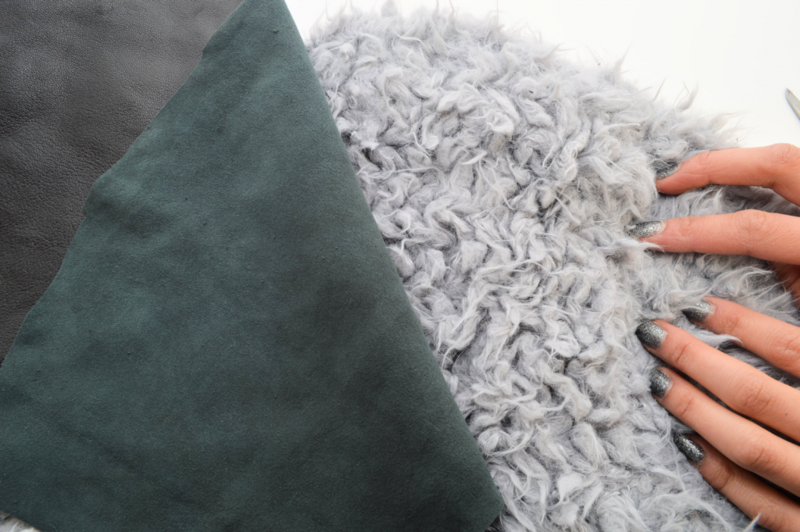 And of course, you’ll also need a faux fur jacket in the color/type of your choice. Mine is a faded gray/light purple, a shade that I’ve been really into lately. 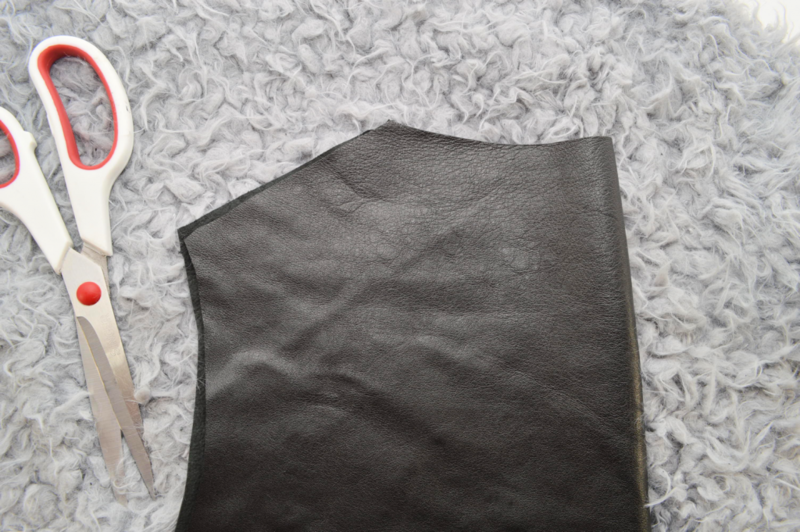 To make the back panel, find the shoulder seams. They might be a bit hidden depending on the type of faux fur jacket you have, so just look closely. 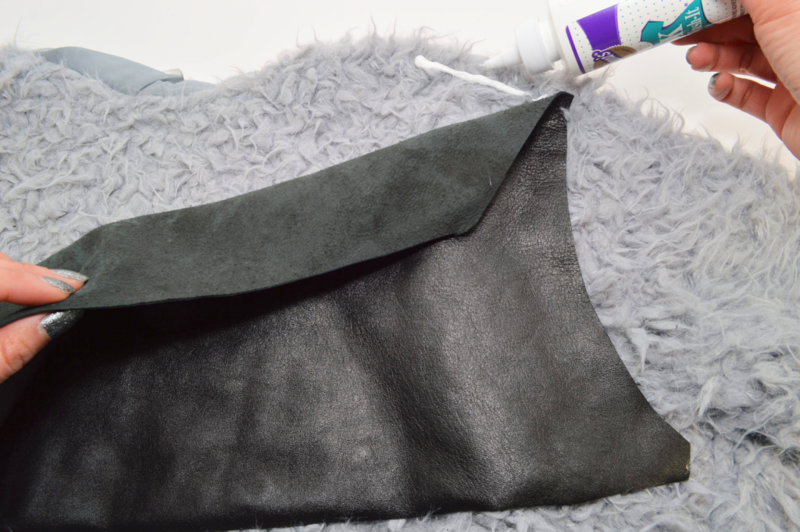 Cut the faux leather, using the seam as a guide. 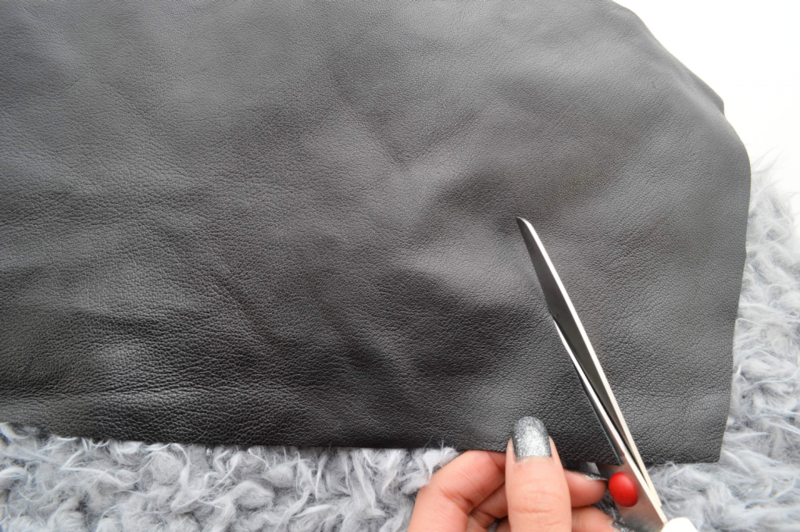 I’d recommend cutting less than you think you should, then trim accordingly once you get rid of some of the pleather. If you’re wary about eyeballing it, you can use a gel pen to draw a guide. Trim the top of the shoulder area, at a slant. Trim the other side in the same exact way. 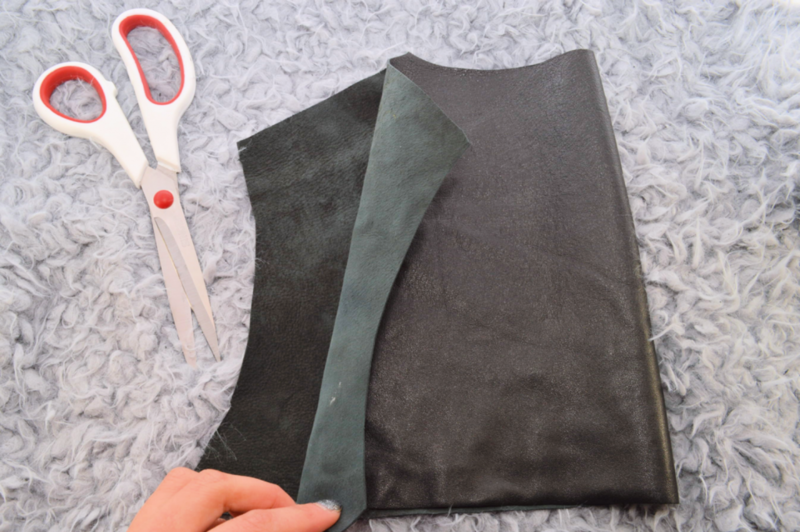 Here’s the easiest way to do this: fold the faux leather in half and use the side you already cut, as a guide. Don’t forget to cut across the bottom to straight the edge, as well as the upper back/lower neck portion. Add fabric glue along the edges. Continue along each side. 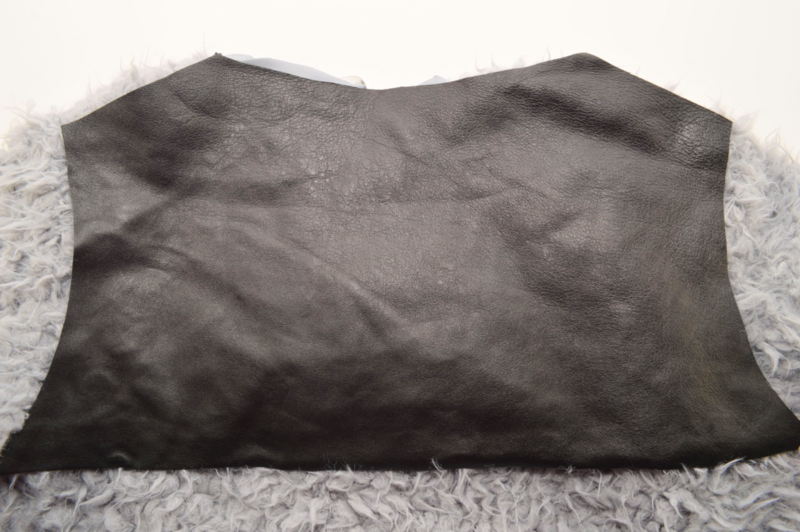 Pat down to remove any wrinkles or air bubbles and let dry. Add your rows of trimmings, however you’d like; I created a layout resembling an upside down pyramid. The order of the trims depended on the length of each one. If you’d like, add faux leather panels and more trimmings to the front. I’m loving the on its own, though. 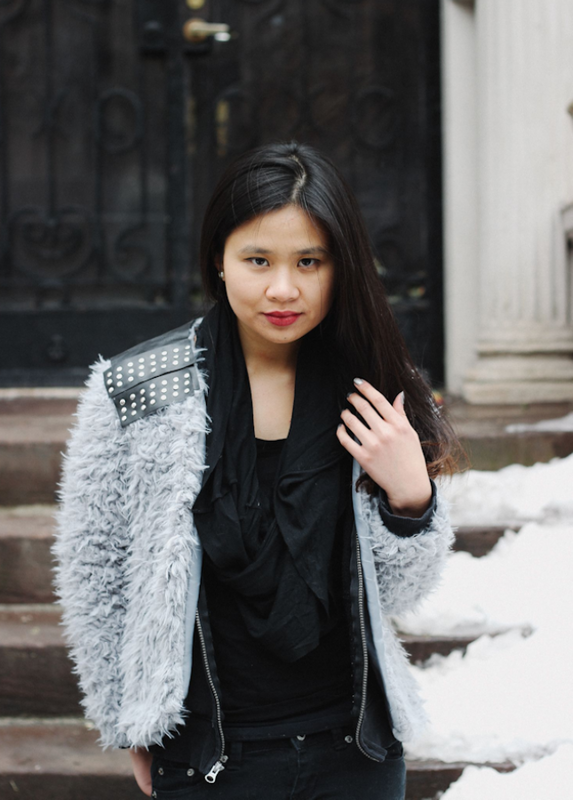 Can’t wait to start putting this jacket into heavy rotation – between the trims and the faux fur, I’d imagine this is what I would look like if I was a garment.